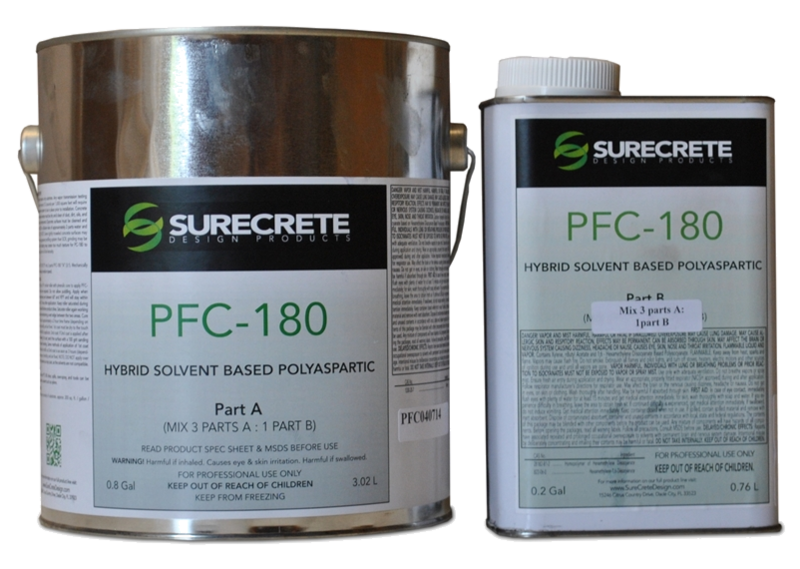 Dura-Kote PFC-180 is a specially formulated 80% solids hybrid solvent based polyaspartic coating. Unlike many polyaspartics, it has a user-friendly pot life of approximately 20 minutes and the ability to create a moderate build (6 Â½ mil) single coat top coat. Turnaround time for a floor may be as little as 6 â 8 hours. Epoxy flakes may be covered in a single pass. 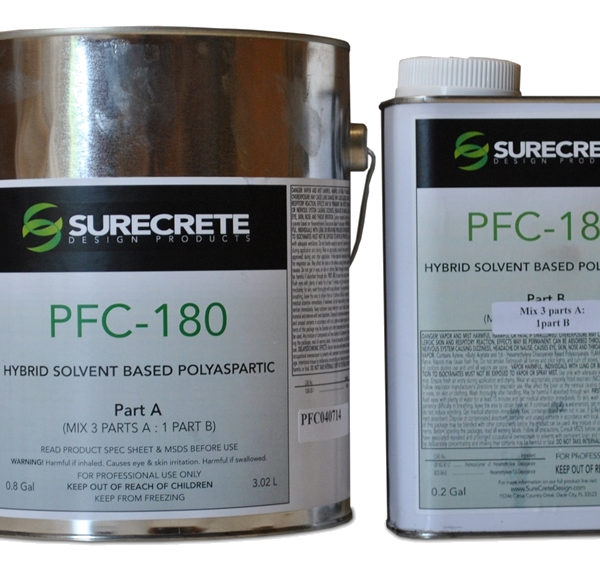 Dura- Kote PFC-180 provides a low VOC (less than 200 g/L), UV stable, penetrating, film forming, color enhancing, and high gloss, moderate build wear surface. The rapid cure time eliminates excessive waiting to return a floor to service. It is ideally suited for both commercial and residential settings: aircraft hangars, clean room floors, manufacturing facilities, warehouses, bars, clubs, retail stores, automotive showrooms, residential interiors, garage floors, stadiums, or any high traffic area where an exceedingly resilient floor is desired.